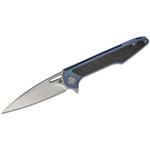 The ArtisanCutlery Archaeo is a slim flipper with smooth lines and a light touch. The 3.86" drop blade is made from Damascus steel and features a slim piercing point. 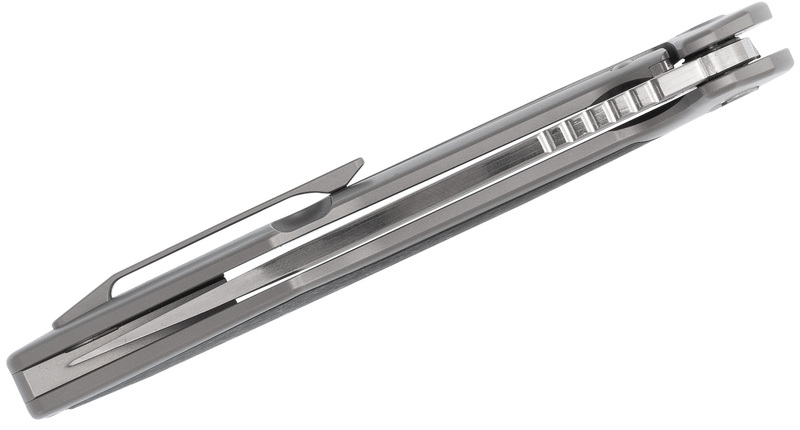 The blade deploys smoothly and quickly thanks to the integrated ball bearings in the pivot. 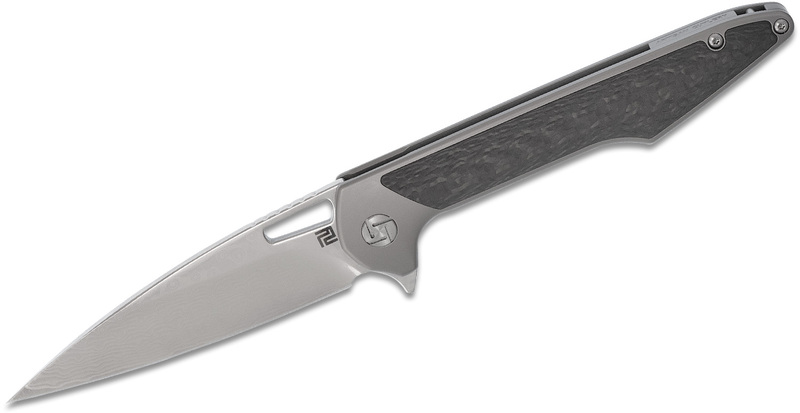 The titanium handles have a large carbon fiber inlay that adds a lot of style to the uncomplicated profile of the knife. 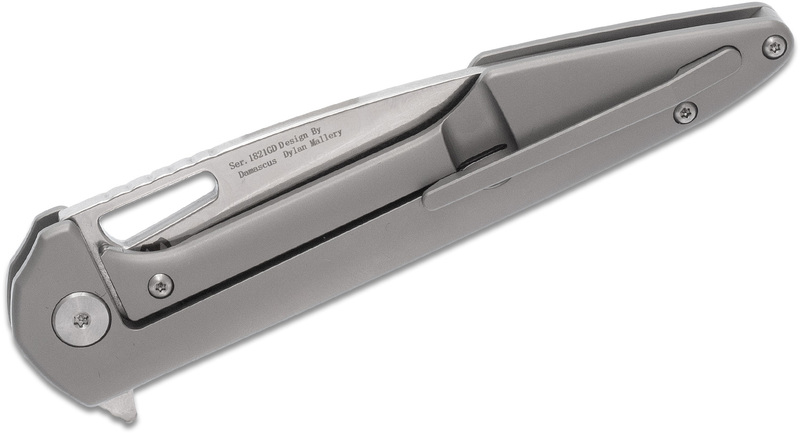 The shape of the handles lock the knife firmly into your grasp and give purchase to any cutting task you might need it for. The Archaeo from ArtisanCutlery makes a perfect gentleman's pocket knife. A layered steel that can be either carbon or stainless. 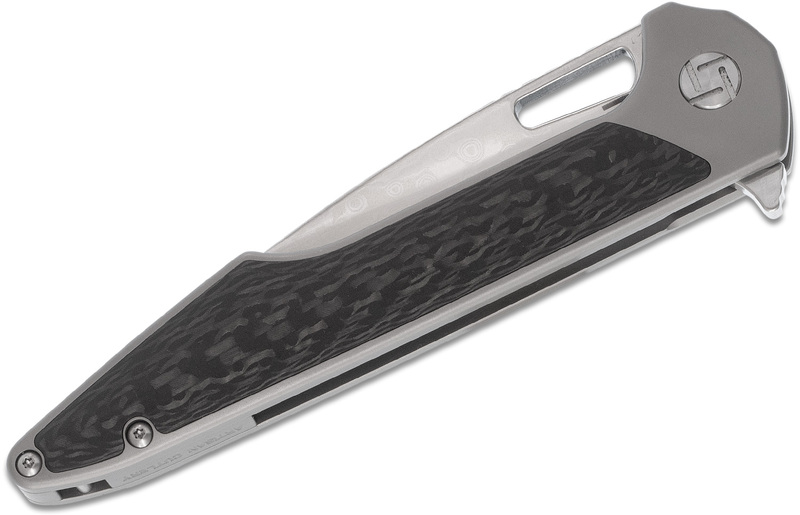 The finished blade is acid etched to give it a unique design. Damascus is known for its toughness, and edge holding capabilities. 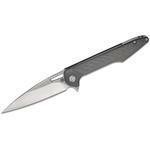 Hey, I wanted to share "ArtisanCutlery Archaeo Flipper Knife 3.86 inch Damascus Drop Point Blade, Gray Titanium Handles w/ Carbon Fiber Inlay " with you from KnifeCenter.